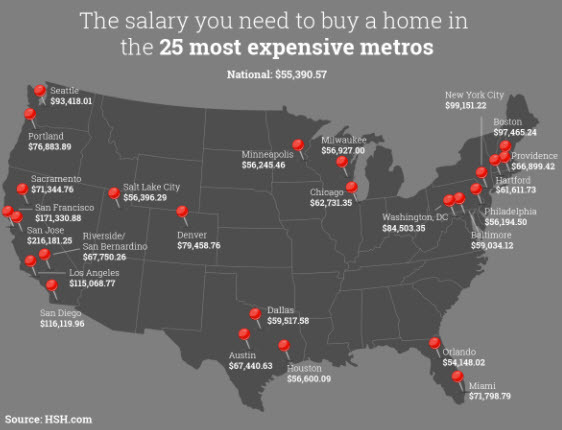 The average annual income you need to buy a home in the United States is $55,390. That is already an insane amount for most of the globe. In New York City that figure doubles to $99,151. San Francisco more than triples the national average with a staggering $173,330. Unfortunately, San Jose takes the national crown in one of the few stats we don't want to dominate. Brace yourself... to buy a medium priced home in San Jose today--you should be making $216,181 each year. Oh, and that is assuming you have the capital saved up for a 20% down payment. Um, ouch! Downtown ice is open daily until Junuary 15th in the Circle of Palms. Perfect timing for the US Figure Skating Championships which run Dec. 29-Jan 8th (featuring a San Jose local, Polina Edmunds). More than 50,000 skaters are expected this season. Major Sam Liccardo unveiled a housing plan that would eliminate constraints to encourage the additional development of 12,500 new residential units Downtown by 2022. 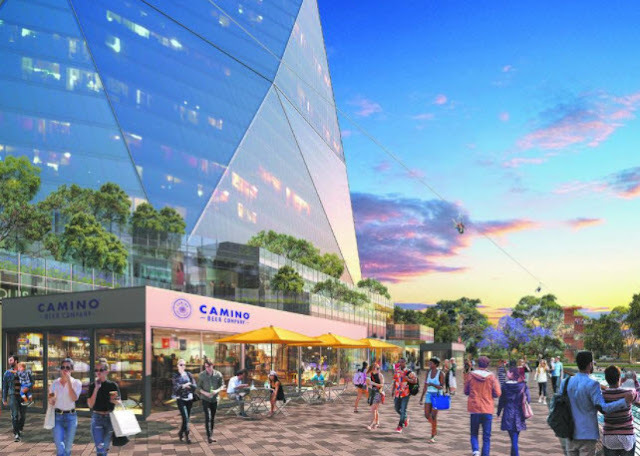 This include speeding up permit approvals, updating Zoning to address building height limitations, eliminating parking requirements, and expanding Downtown Core boundaries. Patterson + Sheridan, LLP have moved their California office from Palo Alto, to 50 W. San Fernando, Suite 250. Dsitrict San Jose opened in October in the former BlackArrow offices at 65 N. San Pedro. Chipotle is now open at One South Market (joining Proper Cup, Earl of Sandwich, and Bishop Barber Shop). Spponfish Poke is now open at 111 Paseo de San Antonio. Fur Elyse is now open at 151 S. Second Street, serving modern French Vietnamese. Camera 3 renovation is going full-speed ahead. The official grand re-opening will be Dec. 31. 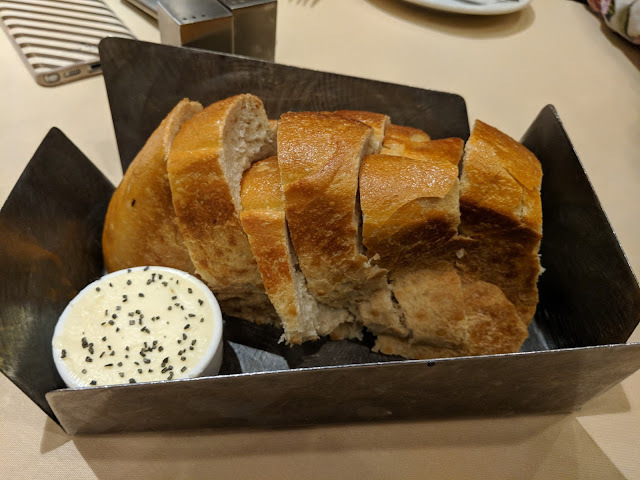 Freshly baked sourdough bread with black salt (not pepper). It was extremely difficult not to fill up on this before the meal started. 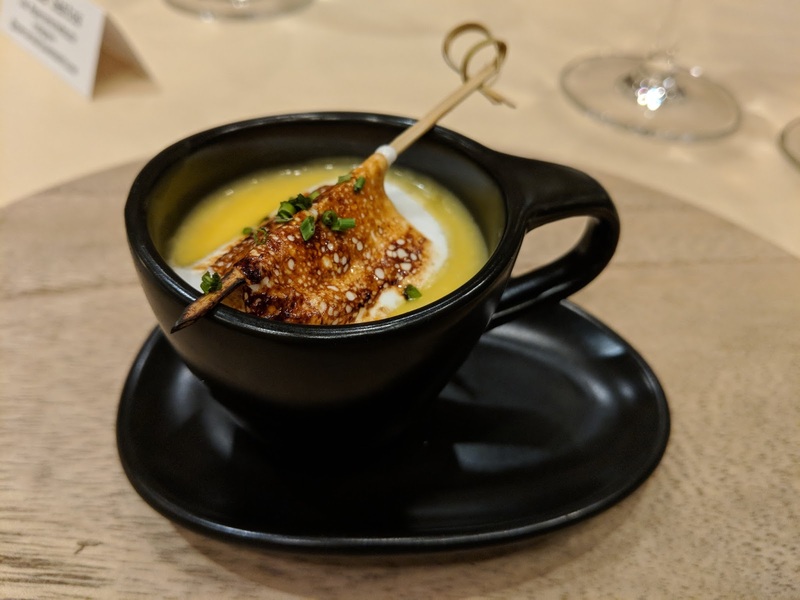 Butternut squash soup with a roasted marshmallow, topped with chives. This one blew my mind. On the official menu the soup comes with creme fraiche instead of the marshmallow, which is too bad since this variant seems far more tasty and creative. 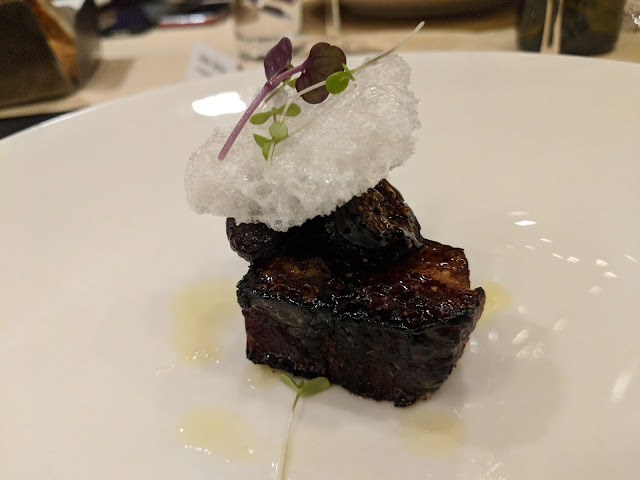 Braised bacon with local figs (middle part), and caramelized organic honey (top). I love bacon as well as combining savory and sweet flavors. The blend of the extremely thick cut bacon with the sweetness of the figs and honey made this my favorite dish. If you try this (and you should), slice from the very top to the bottom to make sure you get all three flavors in every bite. 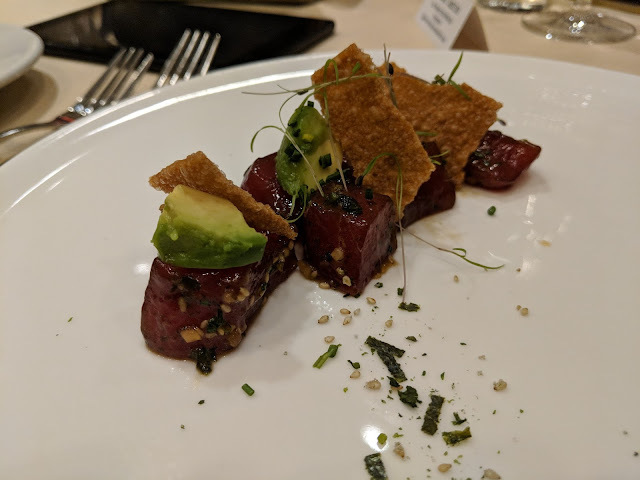 Ahi poke. Sushi grade ahi, avocado, sesame, nori, and wonton. Here the secret is slightly burning the nori, which gives it a different flavor. This was very tasty and something I definitely was not expecting at a place known for their steaks. Pan-seared Hokkaido sea scallops, filberts (no need to google that, they are hazelnuts), on top of orzo. 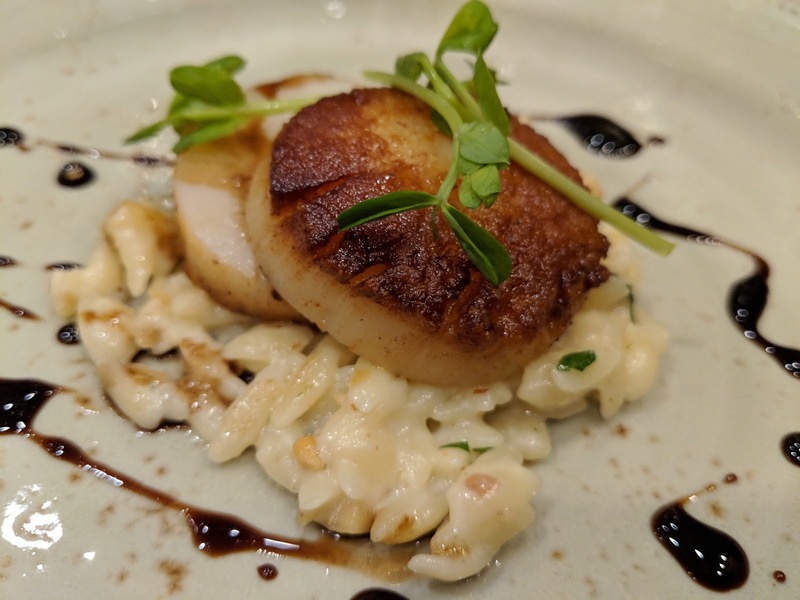 The scallop was perfectly cooked and this would be a perfect light dinner for a pescatarian. 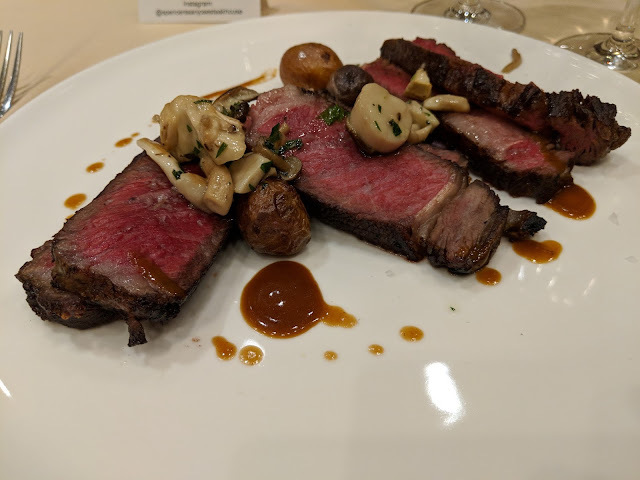 Kobe Ribeye, Spencer cut, and Tomahawk cut with potatoes and mushrooms. This was the most insane meat plate I have ever had. There was also a side of Ostrich steak (tastes like red meat but is very low in calories/fat). Even I couldn't finish the plate, but it made for a very luxurious lunch the next day. Chocolate five different ways. If you haven't guessed it by now, Spencer's has gone a bit more upscale and they are raising the level of creativity in the menu. It really felt like dining at many of the Michelin star restaurants that I have been to. 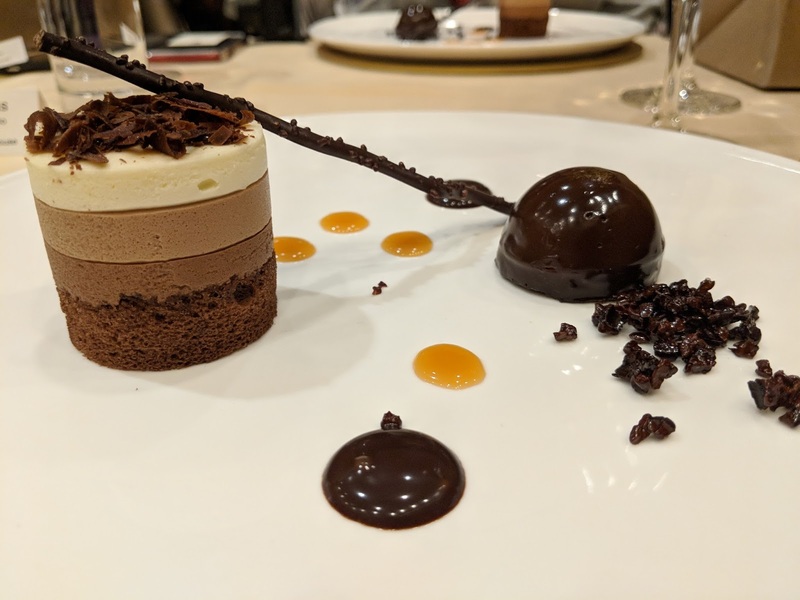 The dessert was a perfect cap to an outstanding meal. I should also mention that they have a very nice setup for private events such as corporate parties and a cool bar area serving craft cocktails. Spencer's is located at 2050 Gateway Pl, San Jose (inside of the DoubleTree by Hilton Hotel San Jose). 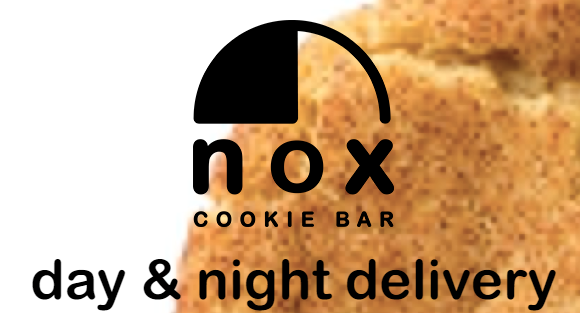 For the full menu or reservations, visit the website over here. 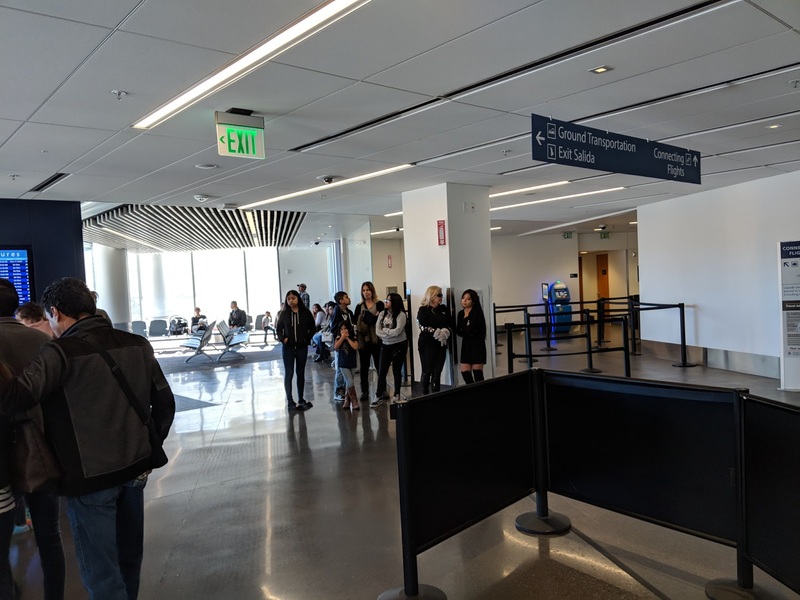 Volaris adding two more international flights at SJC! 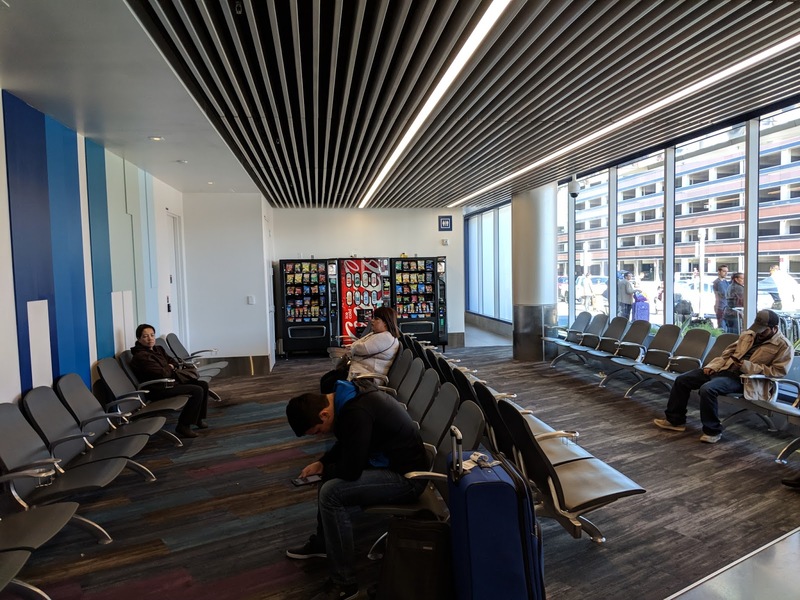 SJC is about to get two more nonstop routes to Mexico. 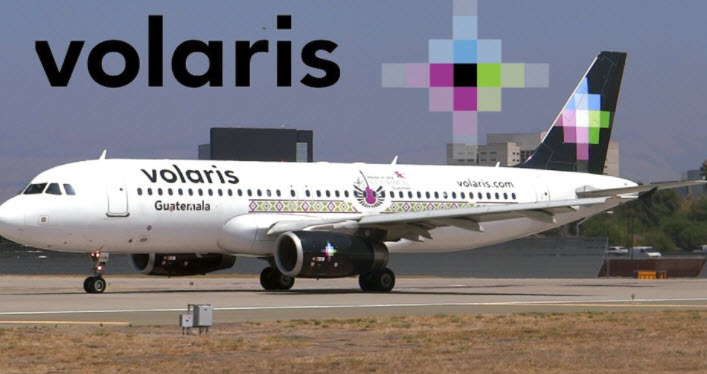 Volaris is launching flights to Morelia and Zacatecas. Service to Morelia starts on December 15th with flights leaving at 1:54pm and arriving at 7:46pm. The return flight leaves Morelia at 9:59am and arrives at SJC at 12:24pm. This route was previously served by Mexicana. Service to Zacatecas starts on December 18th, with the flight leaving SJC at 1:33pm and arriving at 6:59pm. The return flight leaves at 10:05am and arrives back home at 12:03pm. This is a brand new route for San Jose. Both routes will use an Airbus 319 or Airbus 320. 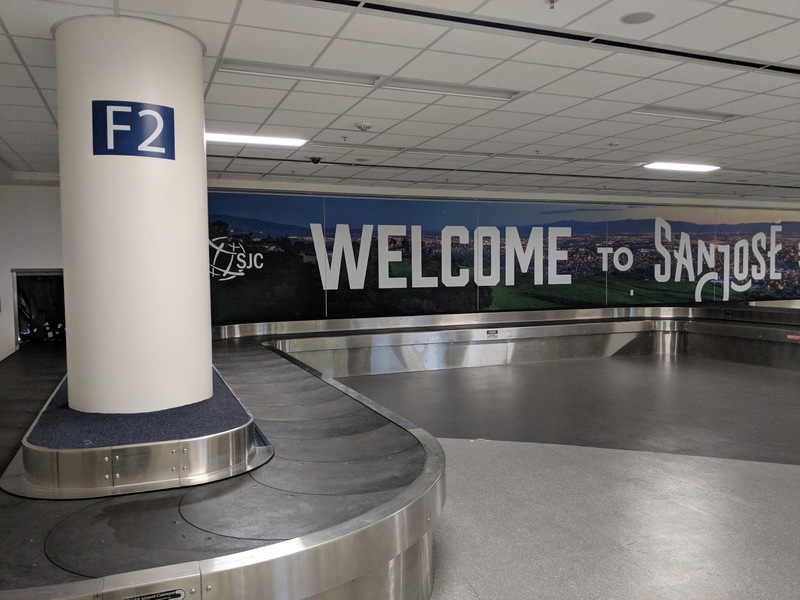 We are yet again surpassing the all-time high for international destinations from San Jose, and there are more to come. As an aside, here are a few photos of the new international baggage area and welcome lounge. F2 is the second baggage carousel. On my last trip it took exactly 15 minutes to get from the plane, through customs, get my suitcase, and be out the door. This has to be the most efficient customs processing center in the country. San Jose is an electric vehicle "capital city"
I'm a huge advocate of electric cars, especially since I love tech gadgets and breathing air outside. I ran across the following info on a site completely unrelated to San Jose. 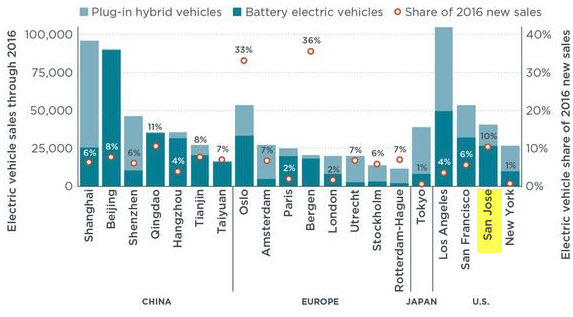 It turns out that in 2016 we had one of the highest percentage of EV (electric vehicle) sales in the world. 10% of all cars sold in the San Jose area are pure-electric and over 15% have some sort of electrification (includes hybrids and plug-in hybrids). The percentage of EVs in new sales in San Francisco was 6% and in New York it was an embarrassing 1%. 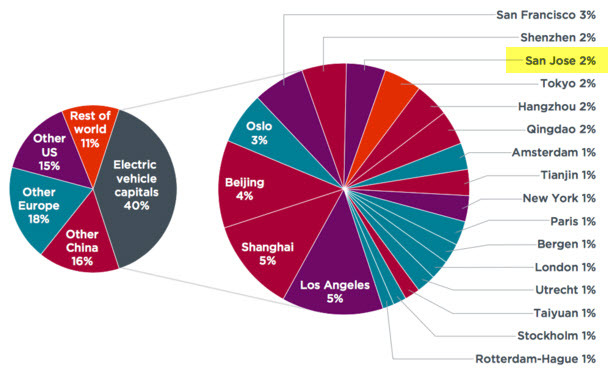 We are also one of the 20 EV "capital cities" which make up 40% of all the EV sales in the world. This is by pure volume versus percentage, so larger cities have an obvious advantage. To me, this makes perfect sense since we are a land of innovators and early-adopters. Tesla even opened their first "store" in San Jose (Santana Row). I remember when 1,000 people lined up there to reserve a Model 3 last year. With several new inexpensive long-range electric cars coming out in 2018, I think we will continue to be the leader in the transition to zero-emission transit. 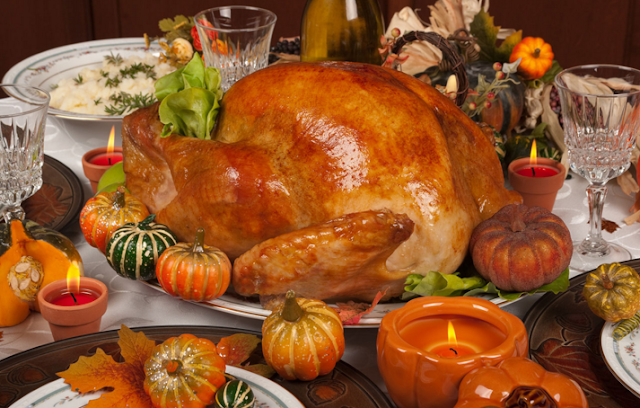 Hope you all have a wonderful time and lots of good eats today. Warm wishes to you and your family from your friends at The San Jose Blog! The West Coast's largest indoor arts and crafts show is coming to Downtown San Jose this weekend. The festival features thousands of American-made arts and crafts including original art, jewelry, clothing, toys, and home decor. 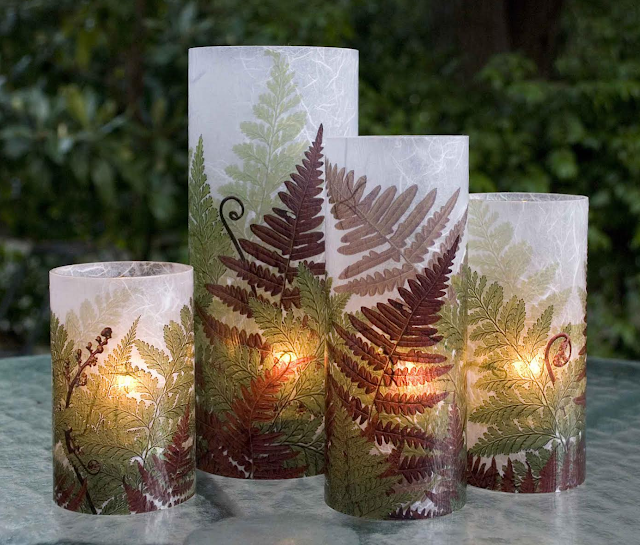 Many of the gifts can be custom ordered or personalized. 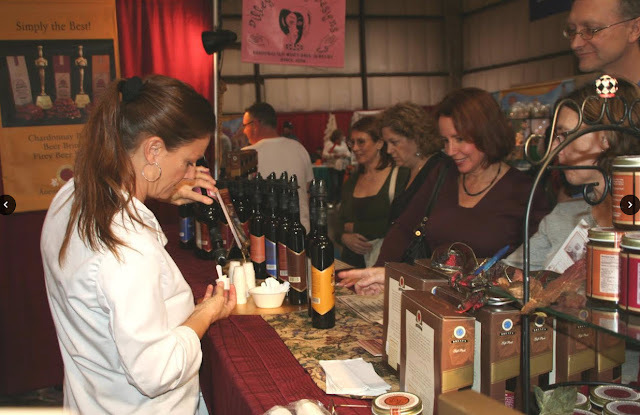 To compliment the shopping, there will be an assortment of food, music, and live entertainment. 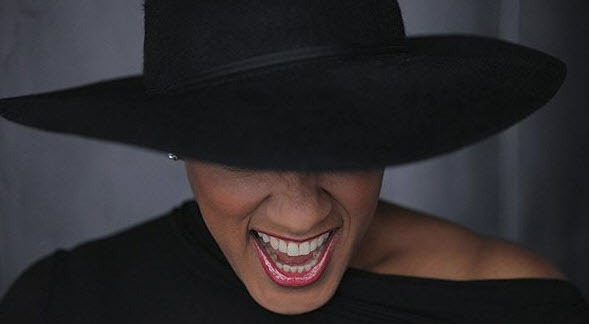 Several bands will be performing throughout the show including Le Jazz Hot. Holiday-themed entertainers will also wander the halls throughout the three day show. While parents shop, kids can play at an interactive KidZone. Here they can build their own art projects such as gingerbread cookie decorating. The Harvest Festival will run from (Black) Friday, November 24 to Sunday, November 26th at the San Jose Convention Center. Hours are 10am-5pm on Friday, 10am-6pm on Saturday, and 10am-5pm on Sunday. Admission is $9 for adults, $7 for seniors and military, $4 for teenagers, and those 12 & under are free. You can print a $2 off coupon on this page (lower right). Admission includes the whole weekend, not just a specific day. For more information or to buy tickets, head over to the Harvest Festival website over here. SANTA CLARA, CA – The Bay Area’s newest and most immersive holiday tradition, WinterFest, opens at California’s Great America on Friday, November 24 and will entertain guests on select dates through December 30. During WinterFest, Great America will be magically transformed into a winter wonderland where guests can experience unique new features, as well as fan favorites such as skating in front of the iconic Carousel Columbia, admiring magnificent displays of lights and décor, viewing spectacular live holiday shows, experiencing 25 rides and attractions, seeing Santa’s workshop and Mrs. Claus’ kitchen, and enjoying scrumptious holiday fare at numerous dining locations. This unmatched event will feature more than 7 million LED lights, creating such a vibrant experience that it will be visible from the International Space Station, more than 270 miles away. 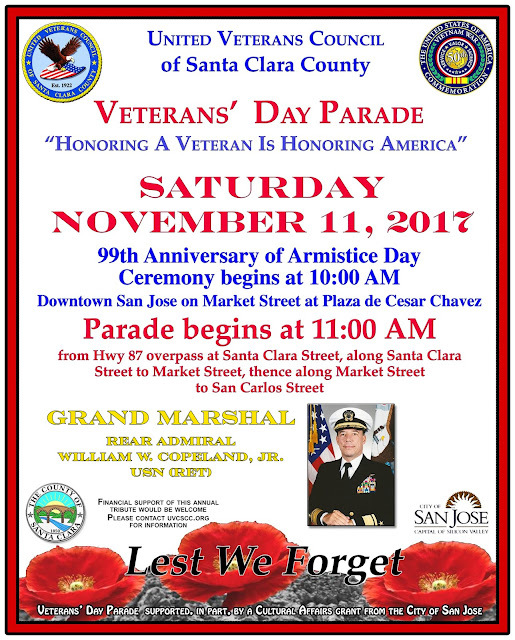 The winter scene will be dominated by one of the Bay Area’s tallest Christmas trees adorned with thousands of twinkling lights accompanied by giant toy soldiers greeting guests. The six-week WinterFest celebration will be open Fridays, Saturdays and Sundays, with daily operations December 19-23 and 26-30 from 5pm-10pm(November 26 and December 17 from 6:30pm-10:30pm). New for 2017 will be an enlarged crafters area where more than 20 Bay Area artisans will showcase their talents, an expansion of Candy Cane Lane, one of the most photographed scenes in 2016, and a fire pit setting to keep guests warm near the Patriot roller coaster. Also in 2017, every Planet Snoopy ride, including GR8 SK8, PEANUTS 500, Woodstock Express, Sally’s Love Buggies and more, will be open and providing fun for kids and parents alike. There will also be a soothing hospitality room under the magical light show inside Orleans Place that will benefit the Boys & Girls Club of America. The tranquil area will provide a warm and relaxing destination for WinterFest guests, where they can enjoy the indoor ambience and make a donation to the club that will bring cheer to thousands of Bay Area youth. Eight unique and decorative themed areas will guide attendees through WinterFest. Guests can gaze at 20 ft. tall candy canes in Candy Cane Lane, experience the wonder of snow falling in Hometown Square, admire Charlie Brown’s Christmas tree in Planet Snoopy, and stare up at the lighted palm trees inside the Grand Entrance. Live shows include a nightly tree lighting, carolers throughout the park, “It’s Christmas, Snoopy!” ice show and more. Holiday crafters will design unique creations and guests will interact with original holiday characters, including Jack Frost, Candy Cane and the Sugar Plum Fairy. Among the 25 rides and attractions entertaining guests will be Gold Striker and Patriot roller coasters for thrill seekers, the iconic Carousel Columbia and Flying Eagles family rides and all of Planet Snoopy for younger guests. Throughout WinterFest from 5pm-7pm (excluding November 26 and December 1 and 17) patrons can enjoy the WinterFEAST buffet for $16.49 (plus tax) that includes roast turkey with festive dressing, baked ham, mashed potatoes, steamed vegetables, vegetarian baked pasta, tossed salad, dessert squares, Christmas cookies and fountain drinks. Single day tickets are available online for as low as $25, and admission to WinterFest is included with a 2017 or 2018 Gold or Platinum Pass. 2018 Gold Season Passes are currently available online and include unlimited visits to California’s Great America and Gilroy Gardens, admission to Halloween Haunt and WinterFest, free season-long Great America parking, early entry into Boomerang Bay water park, discounts on select meals and merchandise and bring-a-friend discount offers. California’s Great America is currently hiring for WinterFest with opportunities available in all areas of park operation. Apply online at cagreatamerica.com/jobs. Swenson Builders just blew my mind with their proposal to turn the Downtown stretch of the Guadalupe River into a 6.81 million SQFT mixed-use development. Apparently, Swensen has been contemplating this for decades. The 30-acre project would incorporate and expand existing parks on both sides of the Guadalupe River and even create a second river (!)... more on that in just a moment. Perhaps take a quick break to scroll down and look at the photos and then head back up here. The square footage breakdown would be 3.8 million SQFT for office space, 2 million SQFT of residential space (~2,400 units), 420,000 SQFT of retail in a 5-story terraced shopping center, and 590,000 SQFT of hotel space (~1,100 rooms). Bridges would zig-zag over the river(s) to easily get from one side to the other. If there was ever a proposal to rival the San Jose Google HQ, this would be it. One of the most interesting aspects of the proposal is to create a man-made river parallel to the original Guadalupe River. 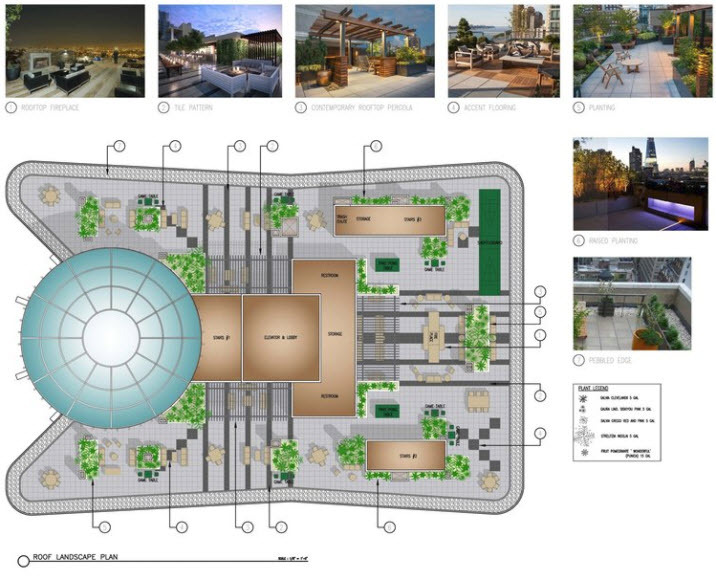 The purpose of this would be to allow for recreational water activities in Downtown San Jose such as kayaking, surfing, and stand-up boarding. 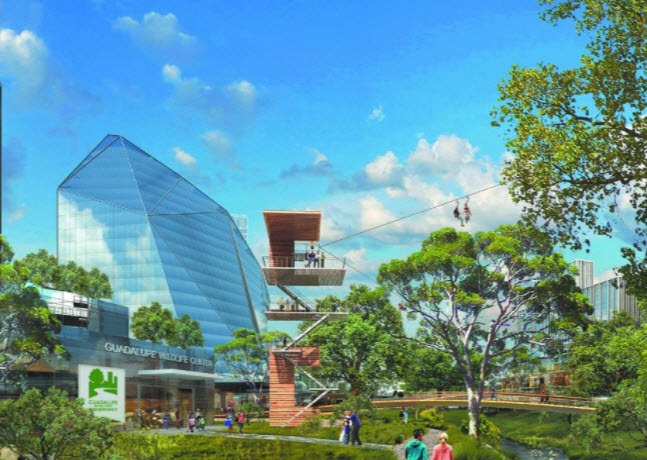 Above the river would also be zip-lines, allowing for a fun adventure combining both a natural and urban backdrop. 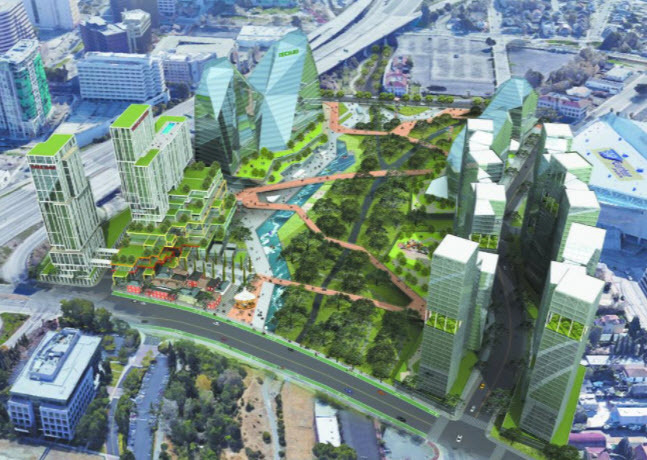 Right now this is more vision than a formal proposal, but can you imagine is this is what the Downtown Guadalupe River area looked like 20 years from now? This would be a tremendous amenity and entertainment draw while highlighting one of Downtown's best kept secrets--the river. San Jose's iconic circular ice rink opens its doors to skaters tonight with special pricing of only $5. There will also be a grand opening celebration at 6pm in front of the rink. All of the details including operating hours are in the press release below. 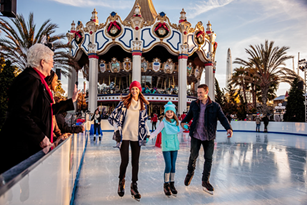 SAN JOSE – Downtown Ice will host thousands of families from all over the Bay Area for a traditional and unforgettable skating experience Nov. 17-Jan. 15 at the Circle of Palms, 120 S. Market St. The rink will also be an attraction for the thousands of families and fans coming to downtown San Jose Dec. 29-Jan. 7 for the U.S. Figuring Skating National Championships, where selections for the U.S. Olympic team will be made. 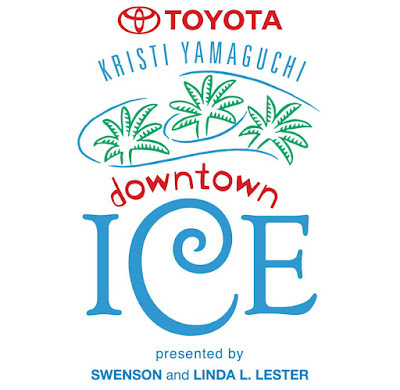 Toyota has joined Kristi Yamaguchi as title sponsors. Swenson and Linda L. Lester are presenting sponsors of the 8,100-square foot skating rink. Yamaguchi and the sponsors will usher in the new season at a ceremony on Opening Night (Nov. 17) at 6 p.m. The iconic circular rink is designed so that skaters can easily and safely negotiate around the circle of 32 palms each adorned by LED lights, creating a magical experience day and night. 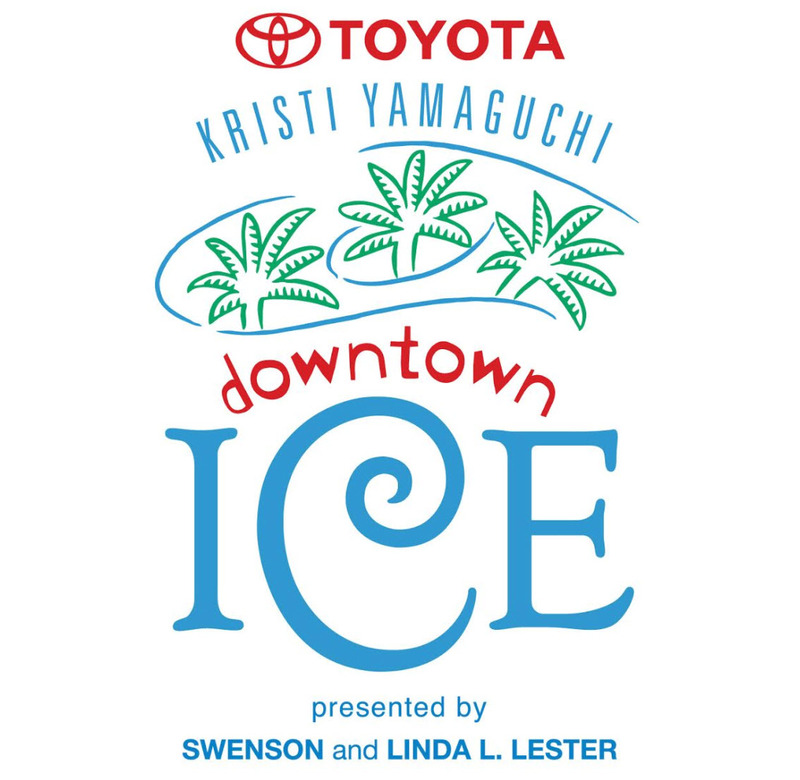 Downtown Ice hours, pricing and specials are posted at http://downtownicesj.com. In general, during November, early December and after the holidays in January, Downtown Ice is open 5-9 p.m. Monday-Thursday; 5 p.m.-midnight on Friday; noon-midnight on Saturday; and noon-9 p.m. on Sunday. During the winter break, the rink is open 11 a.m.-midnight daily. Special hours apply to the holidays. Admission is $15 for children 10-under and $17 for skaters 11-older. Those who bring their own skates will be admitted for $10. Senior and military are admitted for $15. Downtown San Jose experiences a magical holiday season, attracting more than a half million visitors. Downtown Ice is located within steps of Christmas in the Park displays, which occupies Plaza de Cesar Chavez starting Nov. 24 and will extend its season until Jan. 7. Hotels are booked with parties, museums and galleries have special exhibitions and the performing arts venues and arena have packed schedules. Downtown Ice and Christmas in the Park are partially supported by participants in the 5-kilometer Google Santa Run Silicon Valley to be held on Dec. 17. Dress up in costume and run a 5-kilometer race as lights descend on downtown. A children’s division will also be participating along with a costume contest with great prizes, some fun mileage markers and surprises along the course. Sign up at www.santarunsv.com. 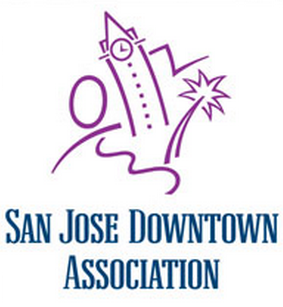 San Jose Downtown Association has produced Downtown Ice for 22 years. This will be the 14th year in the Circle of Palms (starting in 2004). Monday - Tuesday: 5 – 9 p.m.
Monday - Thursday: 5 - 10 p.m.
*New Year’s Eve: 11 a.m. – 10:30 p.m.
MLK, Jr. Day: 11 a.m. - 9 p.m.
Cash, Paypal, Visa, Mastercard and Discover Card accepted. Admission includes ice time and rental skates (skate sizes range from toddler 8 to men's 15). In what should come as no surprise, San Jose took the top spot again in Nerd Wallet's annual study of best cities for tech jobs. They looked at the largest 381 US metros and evaluated the percentage of jobs in tech, annual median wage for tech jobs, and gross rent. Despite having astronomical housing costs, we still came in way ahead of the competition. 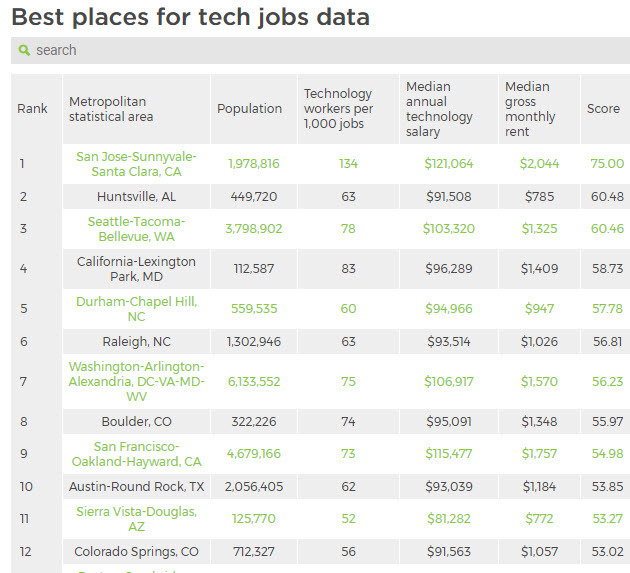 We have about double the number of tech jobs per capita as any other city in the top 10 and our median annual tech salary blew away every other city at the top of the list. Even SF was a distant 9th place. 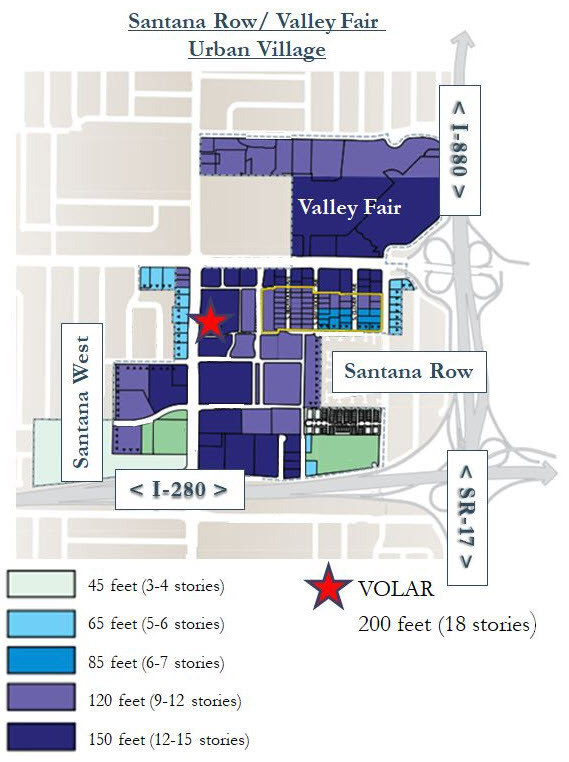 Volar is a fancy 18-story (200 ft. tall) tower proposed for the Santana Row area. The mixed-use project will have 307 residential units, 52,000 SQFT of commercial, 16,275 SQFT of public open space, and 490 parking spaces. There are several interesting things about this project besides it being far taller than anything else in the area. However, the item that really stands out to me is a rooftop that that will give the Capital Club a run for its money. 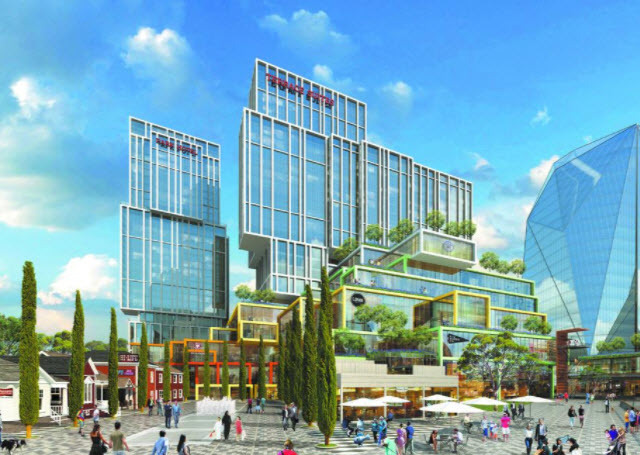 The top floor is a mix of 29,814 SQFT of private open space for the residential units and that 16,275 SQFT of public open space that anyone can access. If the render below is accurate, this will be the most impressive rooftop on any high-rise in Silicon Valley. It looks like thee will be lounge areas, outdoor fire-pits, and plenty of trees spread across a posh Santana-Row-like area. 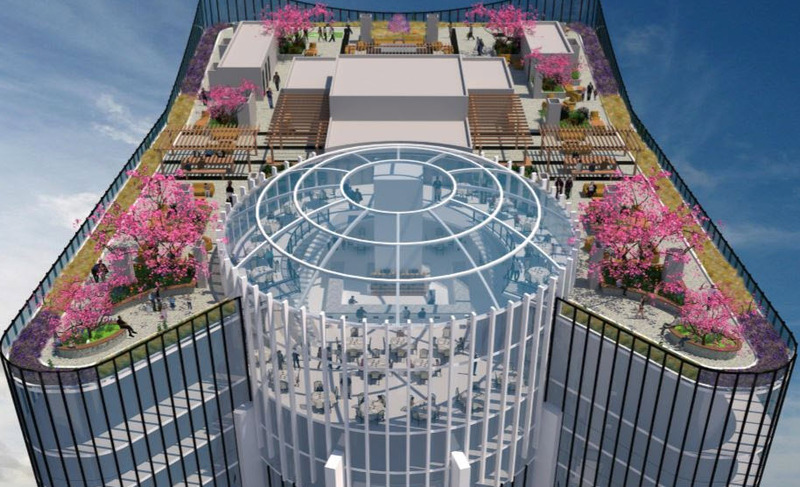 The 18th floor will also have a 8,500 SQFT restaurant and cafe with a two-story atrium. The views should be quite spectacular from any part of the rooftop or restaurant. 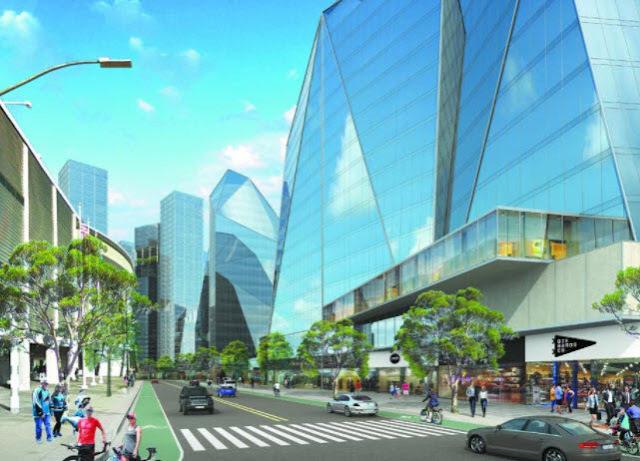 This could be the start of a new era where high-rise housing comes to more parts of San Jose. 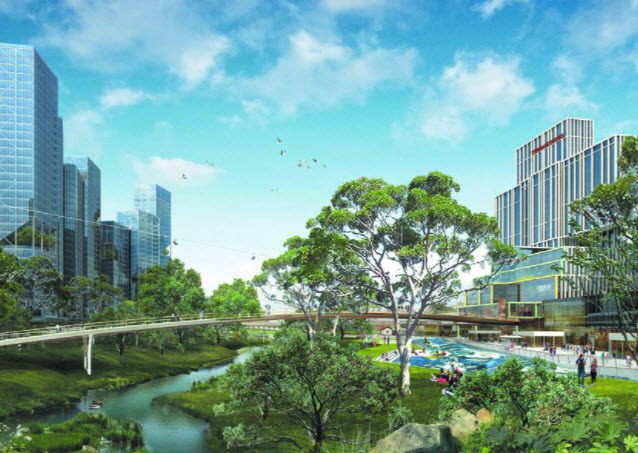 For more details on this project that will hopefully break ground by 2019, head over here. Sadly, gender inequality is still a current issue in the US (and most of the world). 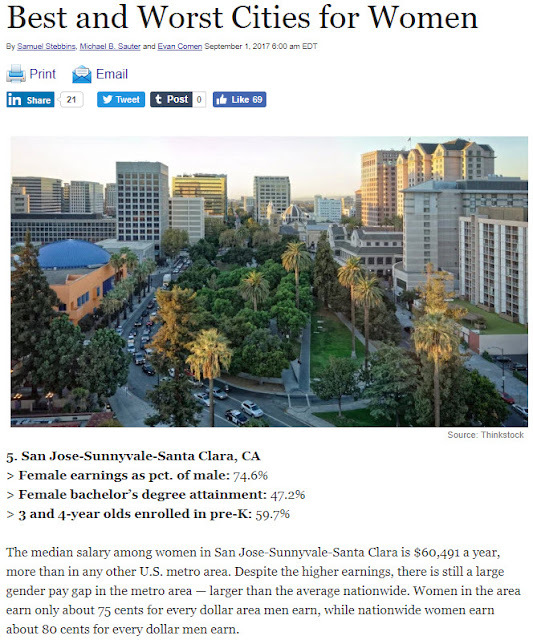 Fortunately, San Jose ranks highly when it comes to the best cities for women in the country. 24/7 Wall St. looked at multiple metrics including gender pay gaps, college attainment, life expectancy, and insurance rates for women. After computing all of these metrics, we came in 6th place. Even then, women on average are only earning 74.6% of men. San Francisco fared even better and came in at 2nd place. Unrelated tho the article, one positive sign that things are moving in the right direction is new legislation will go into effect in California next year. For example, employers will no longer be able to ask what your salary history is during job interviews as it may bias towards paying based off the past salary and not what a new hire should be making for the role. Source: 24/7 Wall St., thanks to Barclay Livker for sending this in! Greystar Real Estate Partners is going to transform an existing 216 unit apartment building into a a 636 unit luxury apartment community called The Reserve. The project is at 881 S. Winchester Boulevard, very close to Santana Row. The apartments will mostly be one and two-bedroom loft-style units in four to five-story buildings with two levels of underground parking. 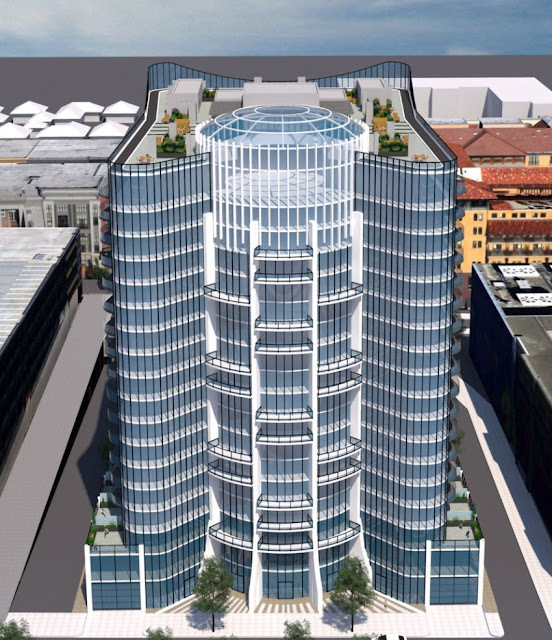 Amenities include a pool, rooftop lounge, a fitness center, and 8,000 SQFT of retail. 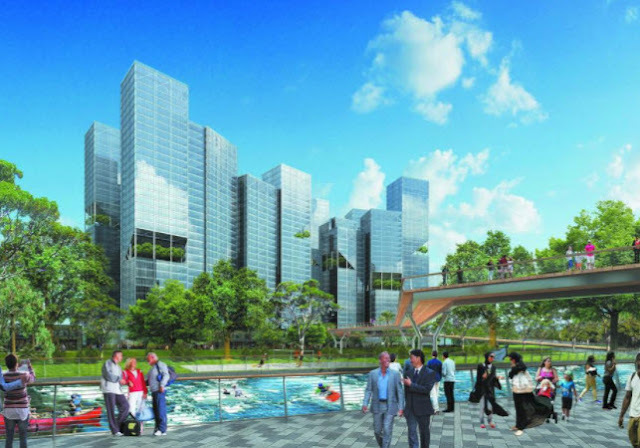 The Reserve should be ready for leasing in 2020.